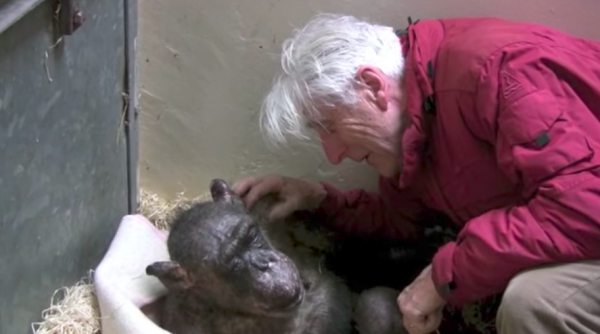 In so many ways, animals — especially primates — are very much like us. They feel emotions, they fear for their safety, and they have a capacity to love — even if just their own offsprings. These traits acknowledged (and confirmed by science), it is mind-boggling why humans continue to treat animals as if they are inferior. For those who need a reminder of just how precious other creatures are, continue reading this article and be sure to watch the video below. 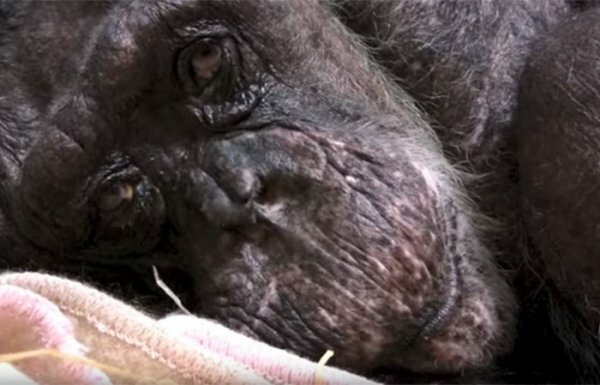 In April of 2016, a 59-year-old chimpanzee named Mama was on her deathbed. According to LaughingSquid, she refused food and lay motionless for days. Then one day, her former caretaker, Jan van Hooff, stopped by for a visit. 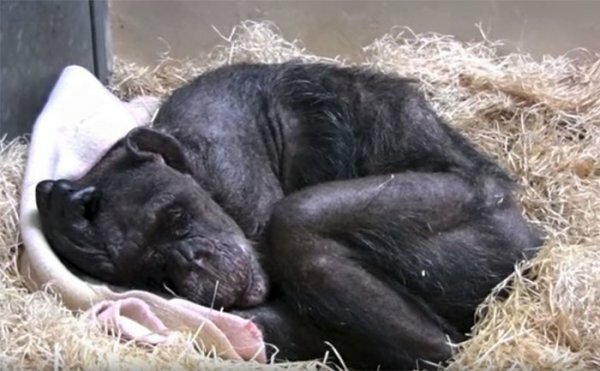 Mama was a matriarch of the chimpanzee colony of the Royal Burgers Zoo in Arnhem, the Netherlands. Reportedly, she had known van Hooff since the formation of the colony in 1972. To say their reunion was emotional — and a bit heartbreaking — is an understatement. 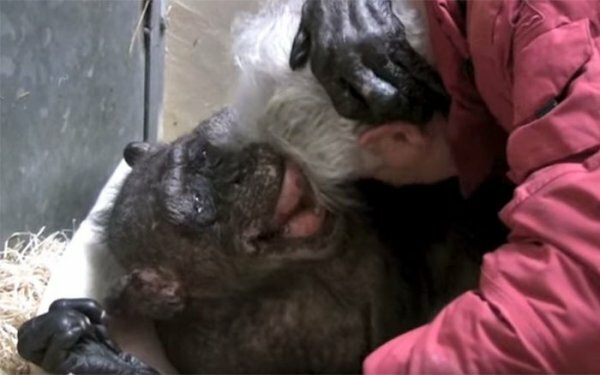 When van Hooff introduced herself to Mama, it took a few minutes for the chimp to recognize her friend. But then, she reached out to embrace van Hooff, an extraordinary smile plastered across her face. This effort took a great deal of energy, but it conveyed how special van Hooff was to the primate. Sadly, Mama passed away one week later. For understandable reasons, the video has been viewed nearly 3 million times. Perhaps this is because man/woman-kind is recognizing that humans aren’t at the top of the food chain but rather, part of the ecosystem that thrives as a result of collaboration and symbiosis. 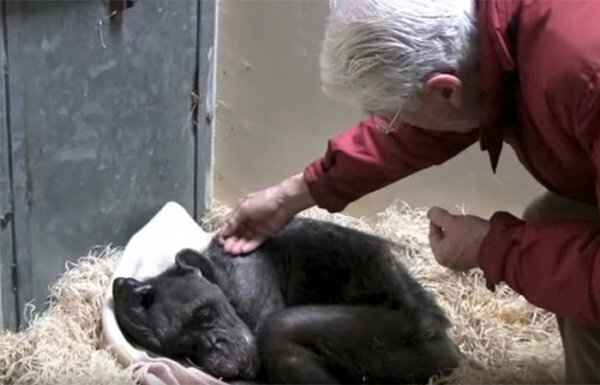 Please share this video to show others how empathetic and intelligent creatures, such as the chimpanzee, are. Together, we can put an end to animal cruelty and create a peaceful world for all inhabitants of Earth.
? 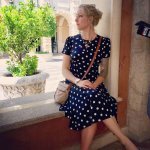 DNA Test Proves Women Were Fearsome Viking Warriors [Video] Revolution: The Paradoxical Nature Of The Current Global Transformation ?